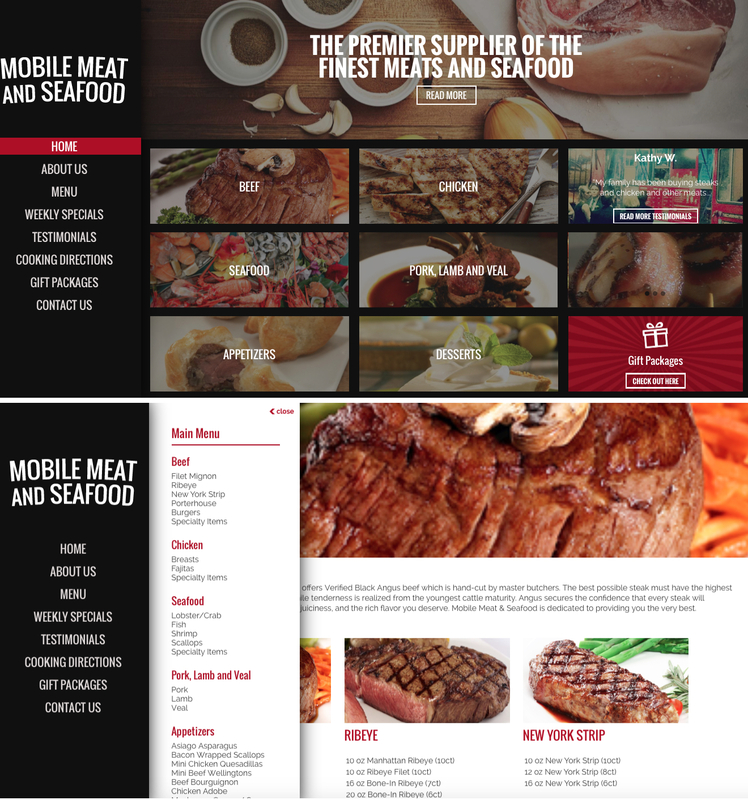 Mobile Meat & Seafood is a local Marietta, GA business which delivers steakhouse quality meats and seafood to consumers. The primary challenges they faced with their existing website was that it did not showcase their products in a manner which was easy for the customer to navigate. Additionally, administering the content, was cumbersome. With food pricing changing constantly, being able to easily update item cost was very important. UPDATE: The client decided they wanted to be able to sell their products online. We converted the template to WooCommerce and used a custom plugin to integrate with the Elavon Payment Gateway.